For health care providers who serve military servicemembers, veterans, and their families, ensuring compliance with the Tricare billing requirements is just as important as complying with the Medicare and Medicaid regulations. Even if treating Tricare beneficiaries makes up only a relatively small percentage of your practice, you are held to the same legal standards as all other Tricare-participating providers, and violations of the Tricare billing requirements can trigger the same civil and criminal penalties as Medicare and Medicaid fraud. In the past, you may have heard that Tricare audits and investigations generally focused on compound pharmacies. While this used to be true, in today’s world of aggressive health care fraud enforcement, auditors and investigators are targeting all types of health care providers. As a result, along with compound pharmacies, traditional pharmacies, physicians’ practices, therapy providers, testing laboratories, clinics, and other outpatient service providers (as well as entities such as marketing groups and durable medical equipment (DME) companies) are all at risk for being targeted for Tricare fraud. Overbilling Tricare for services, supplies or equipment, whether due to an administrative error, failure to properly “bundle” related services, submission of an incorrect billing code, or intentional fraud. If you are facing an audit rather than an investigation, it is imperative not to get lulled into a false sense of security. Although an audit may sound less severe than a DEA, DOD, DOJ, FBI, or IRS investigation, Tricare auditors have the authority to impose significant penalties for fraudulent billings (including substantial recoupments and prepayment review of future claims), and auditors also can – and often will – refer providers to these agencies for possible federal prosecution. Furthermore, since Tricare auditors are government contractors rather than government agencies, they are not necessarily held to the same standards, and they are also financially-incentivized to identify the largest volume and amount of overpayments possible. This (combined with the fact that auditors routinely make a variety of technical, substantive, and procedural mistakes) means that providers targeted in Tricare audits must take swift and proactive steps to protect themselves just as they would during a federal fraud investigation. We have already alluded to this fact above, but it is worth clarifying: If your health care practice is being targeted for Tricare fraud (regardless of whether you are currently the subject of an audit or an investigation), at this point you are at risk for civil or criminal prosecution. While most Tricare fraud cases are civil in nature, federal prosecutors will file criminal charges when there is evidence to support them; and, in order to protect yourself against the risk of being sentenced to prison at trial, you need to do everything possible to keep your case civil in nature. This starts with hiring a team of highly-experienced Tricare fraud defense attorneys. When facing an audit or investigation, many providers make the mistake of assuming that the right thing to do is to be as helpful as possible. They assume that the fact they have done their best to comply with the Tricare billing regulations means they have nothing to hide, and that if they cooperate, then the audit or investigation will resolve itself quickly, quietly, and without significant consequences. However, this course of action is usually inadvisable for a variety of different reasons. 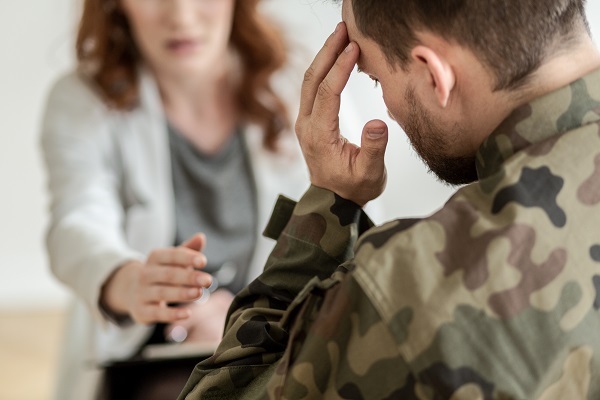 First, in order to face civil liability, you do not need to have intentionally overbilled Tricare (or even necessarily have been aware that billing violations have occurred). If you unknowingly hand over evidence of unintentional billing violations, you could unnecessarily expose yourself to recoupments, prepayment review, and other penalties. Second, auditors and investigators often ask questions in a way that is designed to trip you up. If you misrepresent information, or if you guess at the “right” or “correct” answer, this can come back to bite you in a big way. Finally, if the facts are such that you may be at risk for civil or criminal prosecution, any information you provide will only be used against you. With these facts in mind, when facing a Tricare audit or investigation, your first course of action should be to engage experienced legal representation. Your choice of law firms matters, and you need to choose a defense team with a proven record of success in federal health care fraud cases. At Oberheiden, P.C., our attorneys have decades of experience on both sides of high-stakes Tricare fraud matters, and we can use this experience to help mitigate the consequences of your audit or investigation – ideally avoiding recoupments and other penalties entirely. Have you been contacted by auditors or federal agents concerning your practice’s Tricare billing history? If so, we urge you to contact us immediately for a free and confidential case assessment. To speak with a member of our federal health care fraud defense team as soon as possible, call 888-519-4897 or send us a message online now.